The closing date for online entries is the 17th January 2013 at 10am. 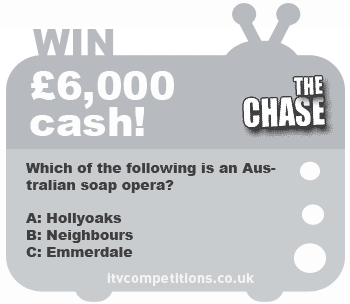 Which of the following is an Australian soap opera? Enter The Chase competition 3 times per phone number for free via itv competitions – save yourself a few quid!